Private hospitals in the UK can provide an extensive diagnostic service for many types of illnesses and disease. 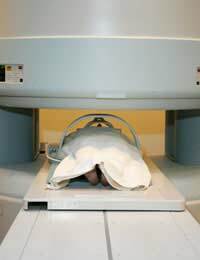 Private facilities often have their own ultrasound scanners, CT scanners, PET scanners, X-rays and some of the larger ones have their own MRI equipment for full body scanning. Private diagnostics include tests on bone density to detect osteoporosis, cardiac function tests to diagnose heart disease or general cardiovascular problems and scanning and blood tests to detect various forms of cancer. If you are thinking of going private to have an MRI, CT or PET scan you will need to look for a private hospital or clinic near to you that offers this service. Not all private hospitals have access to all types of scanner but it is possible to search for private providers on the internet. There are also companies who offer specialist diagnostic scanning outside private hospitals; your scan is done there and the results are fed back to your private consultant and discussed at your next appointment. The procedure for scanning is very much the same in a private clinic or centre as in an NHS hospital. Someone who is highly trained will carry out the scan and there will be nurses present to reassure you and explain to you what is happening. You will not get your results straight away; the images obtained need careful analysis before they are presented to you. In the private sector, waiting times are far shorter than in the NHS because you are paying for the service yourself. Usually, people who opt for diagnosis in the private sector have health insurance, usually through work, as the costs can be very high. Breast screening using mammography is offered to women by the National Breast Screening system if they are aged between 50 and 69. By 2012, women from 47 years old will be included as digital mammography, which is able to detect potential cancers in younger, denser breast tissue, will be in place. If you are aged outside these limits and you want a mammogram, a private screening offers you that chance. The procedure is exactly the same, and your results are discussed in detail. In most cases you will be reassured that all is well but if a lump is detected, you can move forward for early treatment. Women who are past the menopause have a high risk of developing osteoporosis but some women do and some don’t. Having a bone density scan can tell you whether you have a higher risk than average, so that you can have preventive treatment if required. A DEXA scan can be carried out privately to detect osteoporosis or other bond conditions, such as brittle bone disease. The procedure takes less than half an hour and involves having scans of the major bones in the hip, spine and arm. Ultrasound scans are normally associated with monitoring the growth of a baby in pregnancy but they can also be useful for diagnosing disease that is affecting the soft tissues. Ultrasound is often used to diagnose endometriosis in women and can be used to visualise the ovaries, fallopian tubes, heart, kidneys and liver. Most private clinics have their own ultrasound scanning equipment and this is a safe and commonly used non-invasive diagnostic technique. Ultrasound scans are particularly useful for detecting if you have an aneurysm – a swelling – in your main aorta. This massive artery takes blood from the heart into the body but if the walls become weakened at a particular point, the artery can form a balloon, which further stretches the walls of the artery. If the wall ruptures, this is a life-threatening event and the chances of dying are quite high. Ultrasound can detect the balloon stage of an aneurysm, so that a repair can be done to prevent rupture. If all appears normal, but there are signs that your aorta is slightly wider than normal, you may have to have repeat scans each year to keep an eye on the problem. This can be done as part of a routine private health check. Many different types of blood test can be done as part of a routine health screen under a private healthcare scheme. These can either be covered by your health insurance, or they can be obtained on a pay-as-you-go basis. Many people feel the need to have a complete health check when they reach 50, or when they retire, or for many other reasons. GPs and often over-stretched and are reluctant to offer this service, so private clinics can be a useful alternative.